Filomeno da Cruz became involved in seed production in July last year as a contract grower for the Ai-luka 2 and Ai-luka 4 cassava varieties released in 2009 by the Ministry of Agriculture and Fisheries (MAF) and Seeds of Life (SoL). As a contract grower, Filomeno received an initial source of planting materials which he planted in his 2 hectare field to produce cuttings that are purchased by MAF-SoL for distribution to local farmers, farming groups and institutions that require them for the next planting season. As MAF-SoL only purchases the cuttings, Filomeno uses the tubers and leaves for home consumption and to sell at the market, generating him and his family added income. Filomeno has used the profits from surplus cassava leaves and tubers to purchase two pigs, which are also fed the residual harvest. 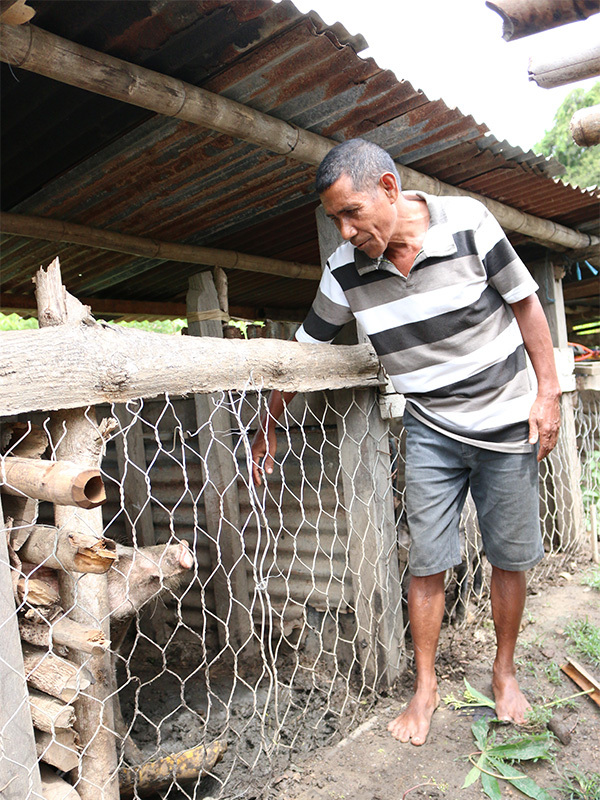 From his initial purchase of two pigs, Filomeno now has more than ten pigs, with the aim to fill his pen with at least 20. From the income that he gets from cassava and pig farming, Filomeno provides his school-age children with their educational necessities, and covers the family’s daily living costs. Moreover, Filomeno also shares cassava cuttings and tubers with his neighbours so they too can plant the released varieties, potentially increasing the community’s farming outputs. 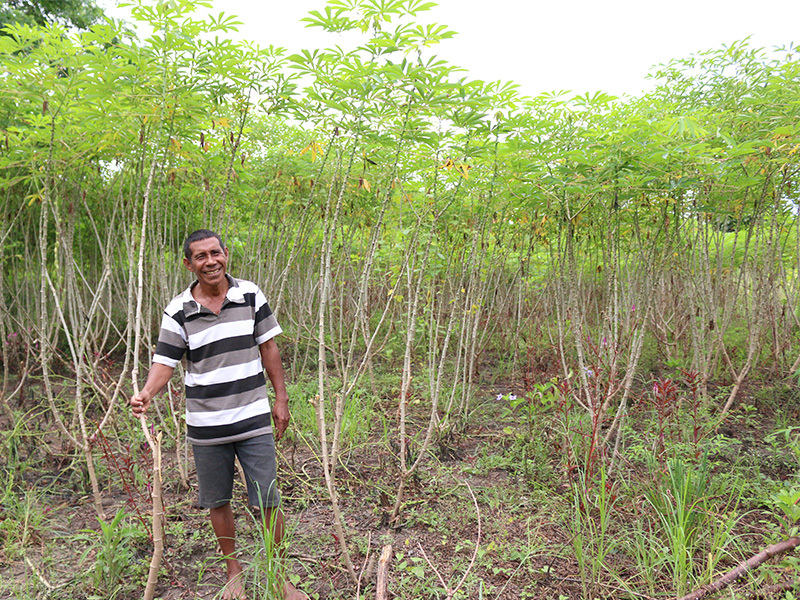 An estimated 10,000 cassava cuttings can be planted on a one-hectare cassava field. From one cassava cane, three to four cuttings can be harvested.